Born in Legnago (Verona), Gabriele Bellini completed his studies at the Venice and Milan Conservatories, with M° Dallavecchia, Coltro, Maderna and Donatoni. He then went on to study conducting, initially with M° Ferrara and then with M° Scherchen, Celbidache and Swarowsky. As a conductor of symphonic music and opera, M° Bellini has performed in important European houses, including Covent Garden, Komisch Oper and La Scala Opera House, where he was also a close collaborator of M° Abbado for many seasons. 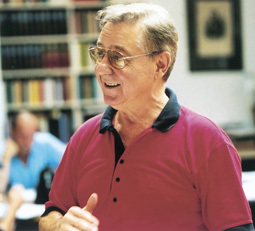 In 1990, M° Bellini was named musical director at The Netherlands’ Opera Forum (later called Oost Nederlands Orkest), where, during his 8 years there, he conducted both Italian and German repertoires (which included, L’Elisir d’Amore, Norma, Così fan tutte, Carmen, Macbeth, Stiffelio, Werther and Wozzeck). At the same time, M° Bellini recorded Linda di Chamounix, Il Matrimonio Segreto and La Sonnambula for the ARTS label. He has also recorded Il Barbiere di Siviglia with the English National Opera Orchestra for Chandos and Le Rondine for Kicco Classic. 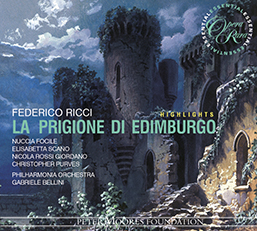 For Opera Rara he has conducted Ricci’s La prigione di Edimburgo(ORR228).